Rise and shine with this motivational mug! Perfect for your coffee, tea or favorite beverage. Display on your desk and you'll be inspired all day. Quote is on both sides. Hand wash to keep the artwork bright. 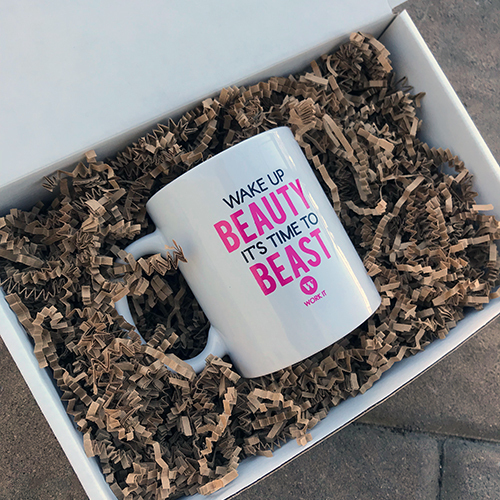 This mug is from our own Pause and Unwind collection created for workin' it!